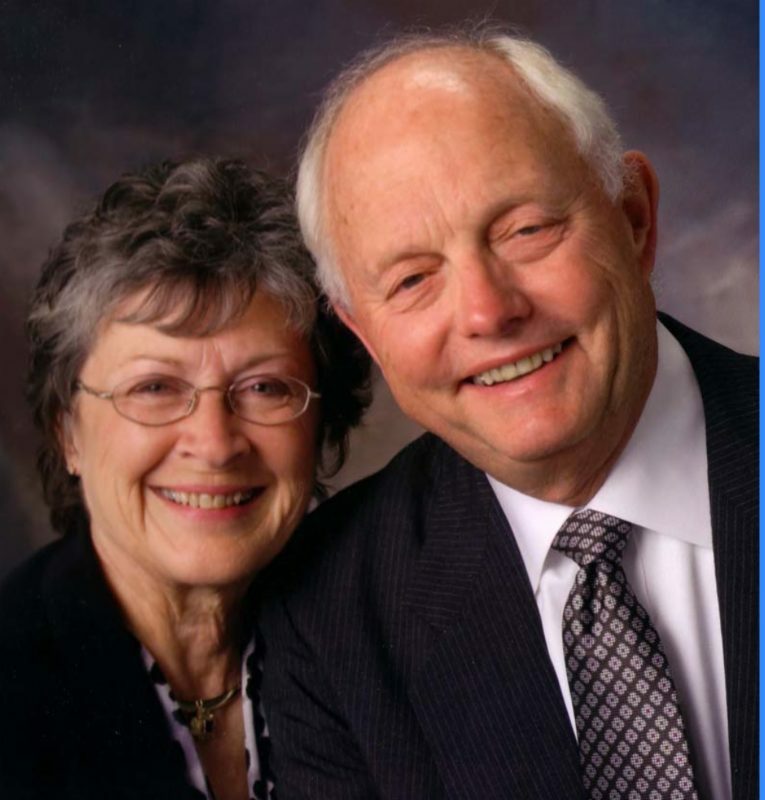 Word has been received of the death of Wander Heller, wife of Dr. Duke Heller, a BMH Books author who has served as an elder at Grace Polaris Church, a Charis Fellowship congregation on the north side of Columbus, Ohio (Mike Yoder, lead pastor). Her obituary appears below. Wanda Lee Heller, age 82, went to be with her Lord and Savior, Jesus Christ, on Tuesday, March 26, 2019, at Kobacker House, surrounded by her family. She was born on January 4, 1937 in Lore City, Ohio, to the late William Hubert and Martha Maxine Rogers. A lover of people, faithful to the Lord and a real servant accurately describes Wanda. ‘JOY’ was her favorite word from the Bible and it symbolized Jesus, Others, and You, which is how she lived her life. She taught Sunday School for four-year-olds at Polaris Grace for 10 years and frequently had those grown up four-year-olds approach her at church to tell her the impact she had them. She received great JOY to see how they had grown up and was anxious to hear about their life. She was a Mentor Mom in the MOPS program at Polaris Grace for over 10 years, impacting the lives of new moms and helping them to embrace the struggles that they had as new parents. Her favorite passion and priority was pouring her life into the lives of her husband, children, grandchildren, and great grandchildren. Reading the Bible and mystery novels were great past times. Spending time at Seneca Lake, in her home, and in Aruba with her family was something she thoroughly enjoyed and looked forward to anytime she had the opportunity. Wanda has known Duke for 77 years. They dated 67 years and were married for 60 of those years. Although these were extremely happy years, they were not without trials. Within those trials they sought the Lord’s wisdom and guidance and were able to counsel and comfort others from what they received from Him. Wanda was pre-deceased in death by her grandson, Aaron James Welsh and her great grandchild. Wanda is survived by her husband, Alfred Louis ‘Duke’ Heller. Children, Kerry (Jeff) McAllester, Robert (Amy) Heller, and Jennifer (Pat) Welsh. Her grandchildren, Matthew McAllester, Casey (Gino) Haynes, Samantha Heller, Blakeley Heller, Shelby Shea Heller, Delaney Heller, Patrick (Ashley) Welsh, Brittany Welsh, and Corey Welsh. Great-grandchildren, Patrick Welsh, Michael Welsh and Aria Haynes. She is also survived by her siblings, Carol Rogers, Nancy (Marsh) Julien, and Rosemary (Neil) Landis as well as sister-in-laws, Edna Meek and Lynn Ripley. Aunt and special friend, Sylvia Bates (Guy, deceased). In addition she has numerous nieces and nephews as well as extended family members. This life will soon be past, only what is done for Christ will last. In lieu of flowers, gifts may be made to the Kobacker Hospice House – https://foundation.ohiohealth.com/programs/hospice-giving or Mii – Mayishare Ministries – funds are used to help men and women receiving treatment for alcohol and drug addiction at The Refuge. In addition, Wanda and I support many people on the mission field to learn more about Jesus Christ.